The leader of Coalition Avenir Québec, a provincial party with the third-most seats in the province's legislature, says all mosques should be investigated prior to being allowed to open in the province. The leader of Coalition Avenir Québec says all mosques should be investigated prior to being allowed to open in the province. François Legault​, head of the third-most popular party in Quebec's legislature, said Tuesday a public body should be created to investigate people who potentially disagree with so-called Quebec values. Legault said the body would be able to find out if "applicants (for mosques) have consistently denigrated Quebec values." He said municipal authorities could use information collected by investigators in order to deny permits to people wanting to open mosques in the province. Legault's comments were in reaction to news that a Quebec town north of Montreal bowed to citizen pressure and denied a zoning change that would have allowed people to build a mosque. Due to the absence of provincial regulation on reasonable religious accommodation, Legault said the mayor of Shawinigan, Que., was simply responding to concerns from citizens and doesn't deserve to be criticized. "I am not ready to blame a mayor who was faced with the concerns of his citizens and a lack of regulations," he said. "He took the decision to say: The answer is no." 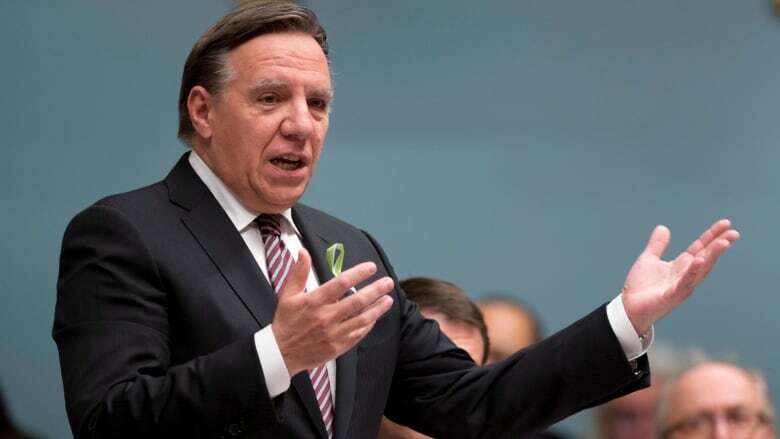 Legault has joined with the Opposition Parti Quebecois in calling on the government to create clear rules governing how elected officials should respond to religious accommodation requests in Quebec. Legault says the public investigative body he is proposing will serve as a "guide for municipalities to accept or refuse the occupation of a site of worship or the creation of one." Tuesday in Quebec City, Premier Philippe Couillard warned against Legault's call to amend the province's charter. He said his government will propose rules to govern religious accommodation but won't violate people's fundamental freedoms.